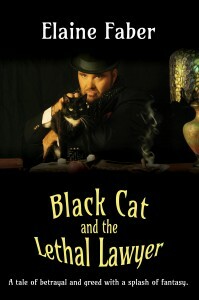 Here is a scene from Black Cat and the Lethal Lawyer.The family is at Grandmother'sTexas horse ranch. She is teaching Kimberlee and Dorian how to make Apricot Jam when the trouble starts. .
“What should I do while Dorian picks the apricots?” Kimberlee looked around the large kitchen, ready to assist in the jam making process. Kimberlee banged around the kitchen, following orders. The kitchen door squeaked open and Amanda came in, clutching the black and white cat to her chest. His long black hair covered his body. His legs with snowy white feet, dangled almost to her knees. “Fumper says he’s hungry, Mama.” She staggered across the room, her arms wrapped beneath the compliant cat’s black legs. “Uh-huh. He’s hungry. He tode’ me so. He wants some bacon.” Amanda squinched up her mouth and glared at her mother. “Amanda. Don’t make naughty faces at Mama. Now, you run on and take Thumper outside to play. There’s a good girl.” Kimberlee gave her head a pat, and a little push toward the back door. Confrontation with a five year old in front of Grandmother wouldn’t impress anyone. Amanda stood by the door, the cat clutched against her chest. Her gazed moved from her mother to Grandmother. Kimberlee stepped between her and Amanda. “Please don’t contradict me when I discipline her, Grandmother. It just confuses her and makes it harder for me.” She knelt beside Amanda. “Now run along, Amanda. Go find Nanny.” She gestured toward the yard. The muscles tightened in Grandmother’s face tightened. How dare she chastise me in front of the child, right in my own kitchen? Amanda sidled across the room and put her hand on the refrigerator handle. She paused, waiting for the winner of the tug-a-war to make the final decision. Grandmother couldn’t hide her smile. See how well her plans to take Amanda from Kimberlee were already working? Amanda was already accepting her authority and turning against her mother. Kimberlee’s cheeks flamed. The kettle slipped from her fingers and clattered to the floor as Dorian stepped through the door with a pan full of apricots. “What’s the matter? What’s wrong?” Dorian set the apricots on the table, picked up the kettle and placed it on the counter. "Amanda and I are having a difference of opinion as to whether Thumper needs bacon. Grandmother feels that since it’s her kitchen, she should make the final decision, and I feel that Amanda and Thumper should get outside before one of them gets spanked. Now, if you’ll excuse me…” She rushed through the swinging door. Her feet pounded up the stairs. A bedroom door slammed. “Grandma?” Amanda dropped Thumper, her hand still on the refrigerator door. Her eyes were wide. Margaret turned. “Amanda?” The inside of her head felt like a bottle rocket on the fourth of July. She lifted her foot off the pillow, stood and shuffled across the kitchen. She yanked open the refrigerator and grabbed the bacon. “Here! Feed the damn cat.” The plate of bacon clattered onto the counter. Grandmother limped out of the kitchen into the library. The fax machine on the desk hummed, and then began to spit out a printed report. Her heart thumped. Was it the information from the detective agency? Information that would prove Kimberlee an unfit mother and lay the groundwork to get custody of darling Amanda? She ripped the paper from the fax machine as the library door squeaked open. “Grandma?” Amanda stood in the doorway, holding Thumper upside down in both arms. 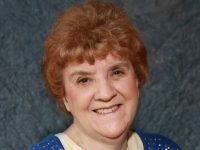 Grandmother whipped her head around, shoving the paper behind her back. “What is it, now? Can’t you see I’m busy?” She felt her cheeks warm. How silly to feel guilty. The child couldn’t know what I’m looking at. 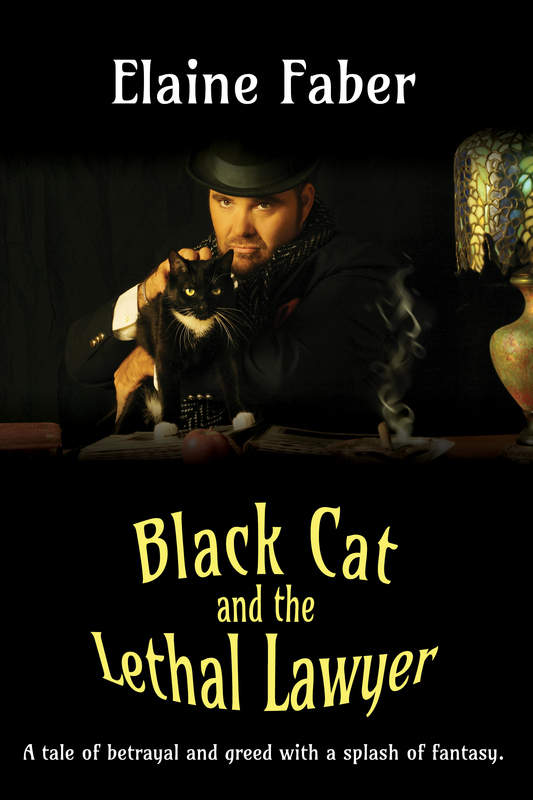 Black Cat and the Lethal Lawyer is available at Amazon in print or e-book... even free under the Kindle Unlimited program.